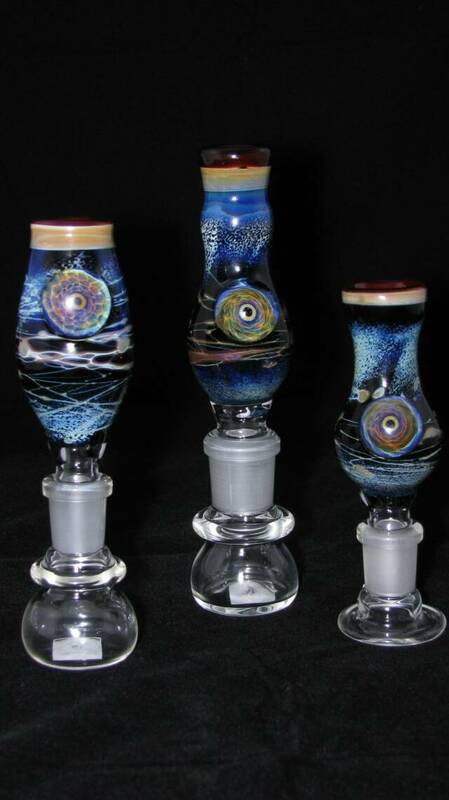 Puff n Stuff Smoke Shop has your full selection of Bowls aka Slides - Glass Bowls simple or heady can be found at Puff n Stuff. 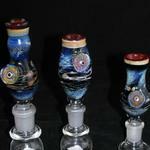 Bowls to fit on older style slide with either the more common 8 mm diameter base and also with 12 mm diameter base. 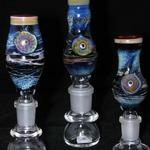 Simple clear glass bowls to worked sculpted art bowls. 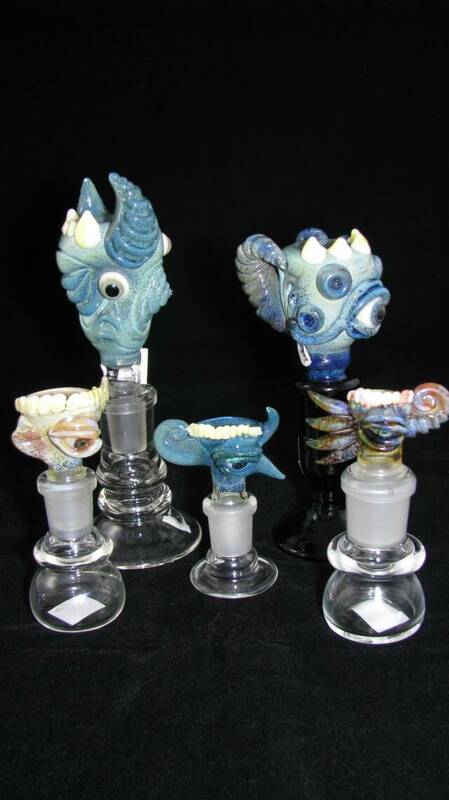 Puff n Stuff has a much larger selection of glass on glass bowls. 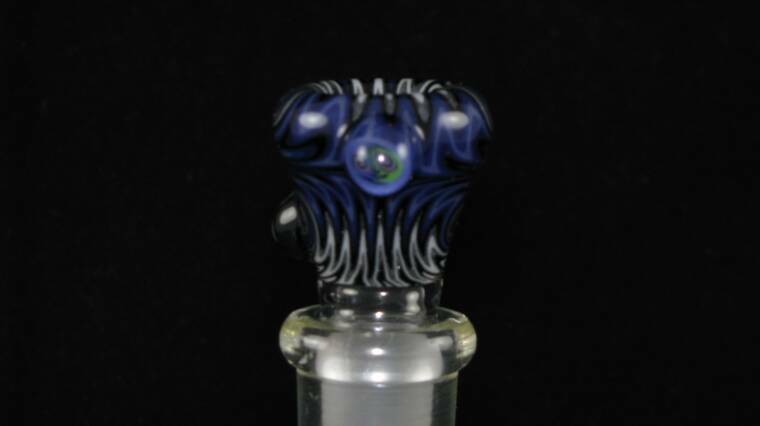 In glass on glass bowls the 14 mm diameter fitting is much more common on water pipes sold over the last 3 years, older water pipes had 18/19 mm diameter glass on glass bowls. 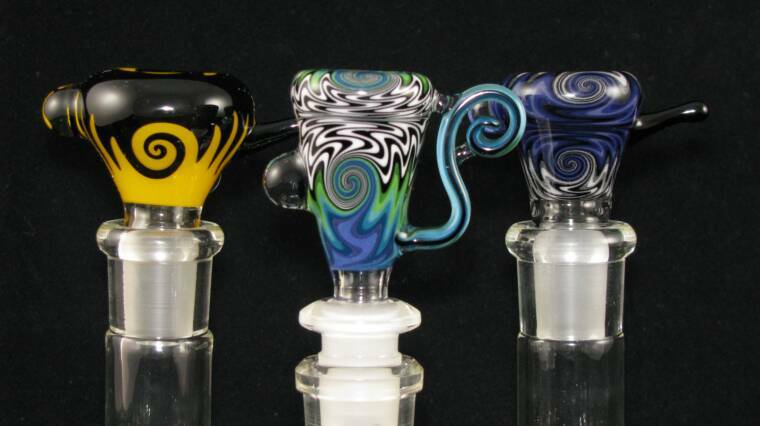 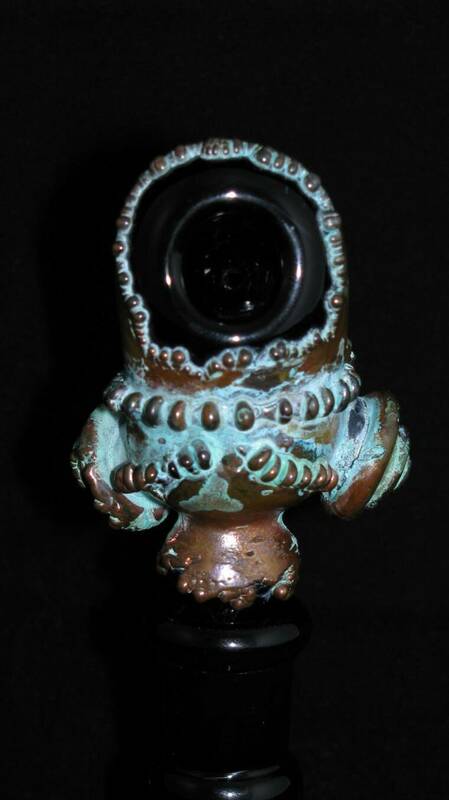 Today, 10mm bowls are often found on some of the smaller water pipes or glass bubblers. 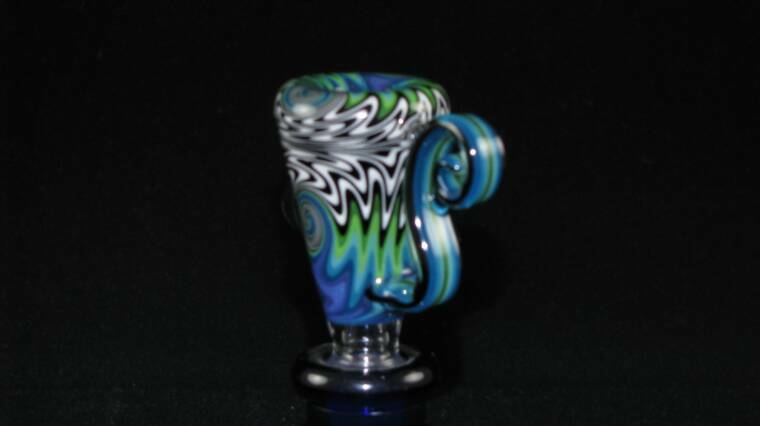 You can even find reverse joint bowls to fit on water pipes equipped with male fittings, or for when you want to use your concentrate water pipe for flower, or tobacco. 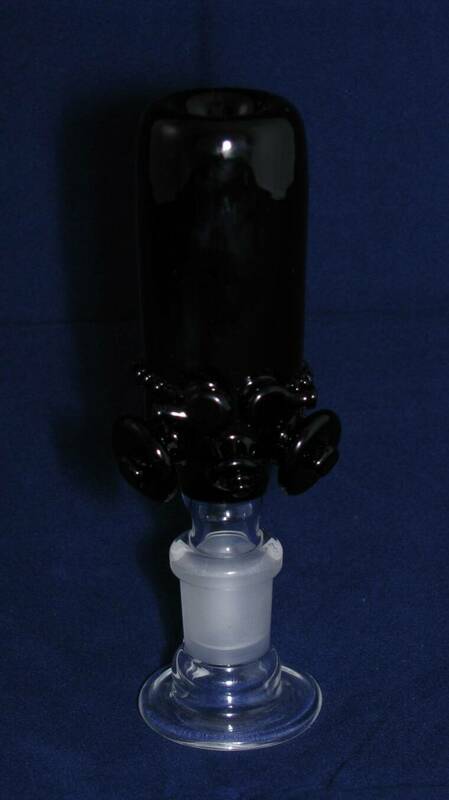 When getting a glass bowl don't forget to get a glass screen in order to keep any tobacco from getting into your water pipe. 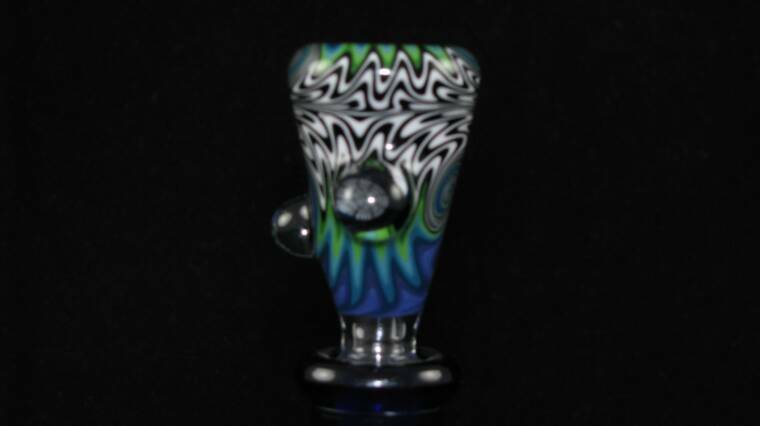 Some bowls come equipped with a built in screen or one form or another. 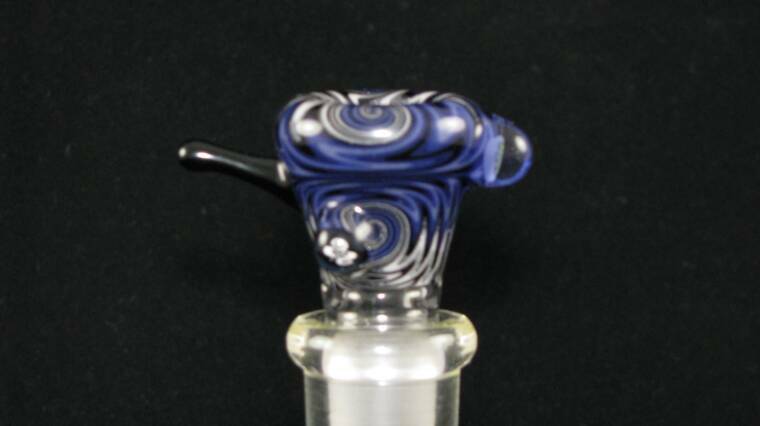 Today built in screens in bowls can be as simple as an "ice pinch" bowl, to bowls that have a glass disc with small holes built into the bowl, you can even find bowls with compressed glass frit to create a in order to keep any tobacco from getting into your water pipe. 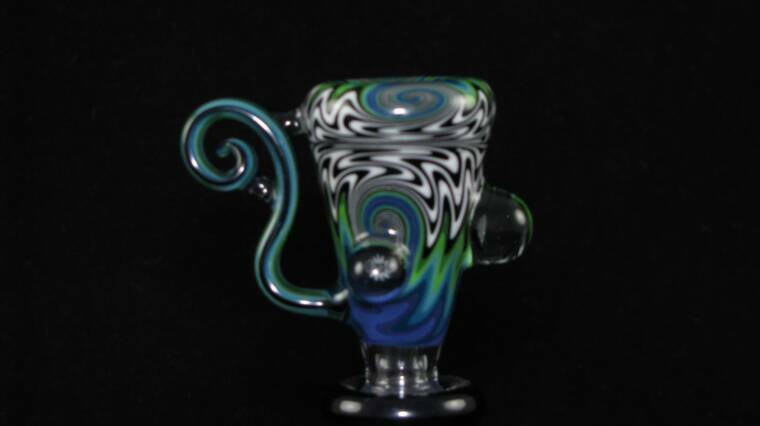 Some bowls come equipped with a built in screen or one form or another. 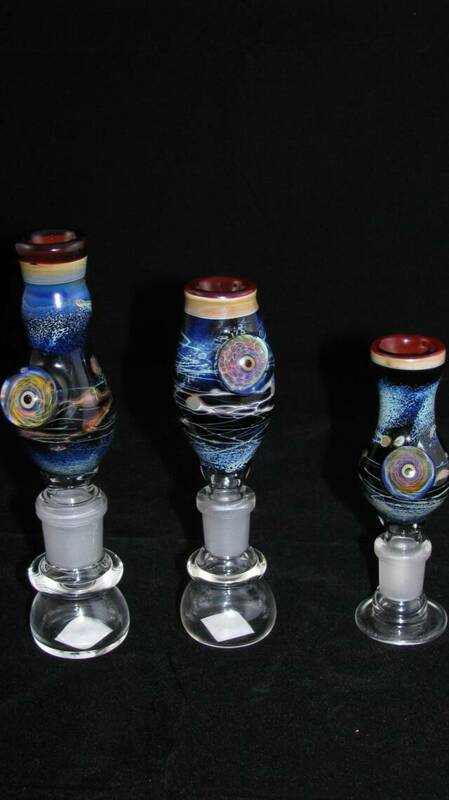 Today built in screens in bowls can be as simple as an "ice pinch" bowl, to bowls that have a glass disc with small holes built into the bowl, you can even find bowls with compressed glass frit to create a filtration in your bowl to help keep your water pipe or glass bubbler clean. 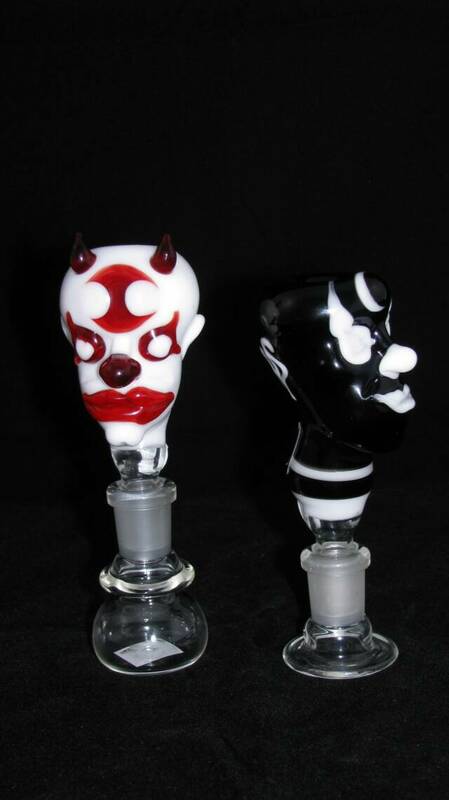 in your bowl to help keep your water pipe or glass bubbler clean. 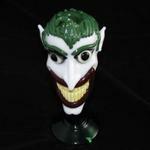 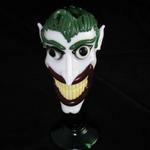 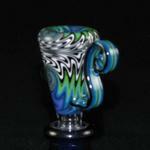 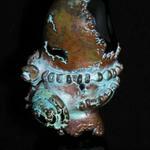 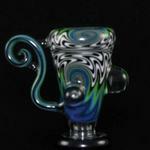 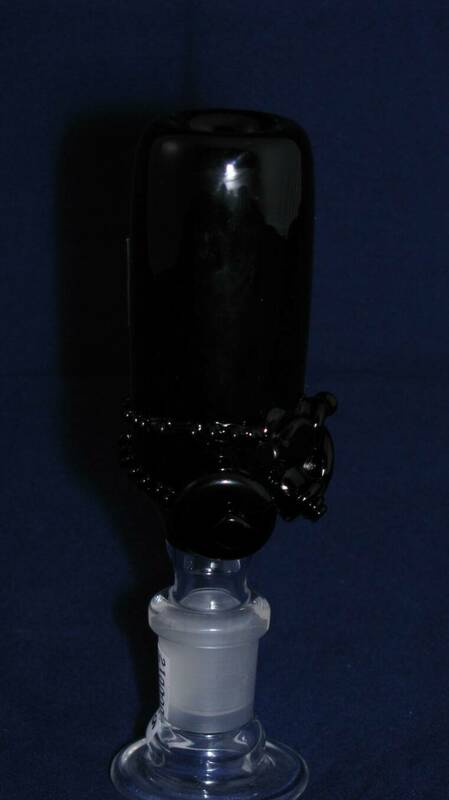 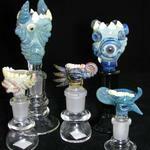 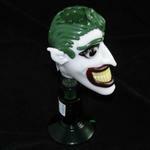 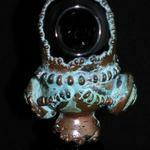 Bowl stands are also available for collectors of fine glass bowls. 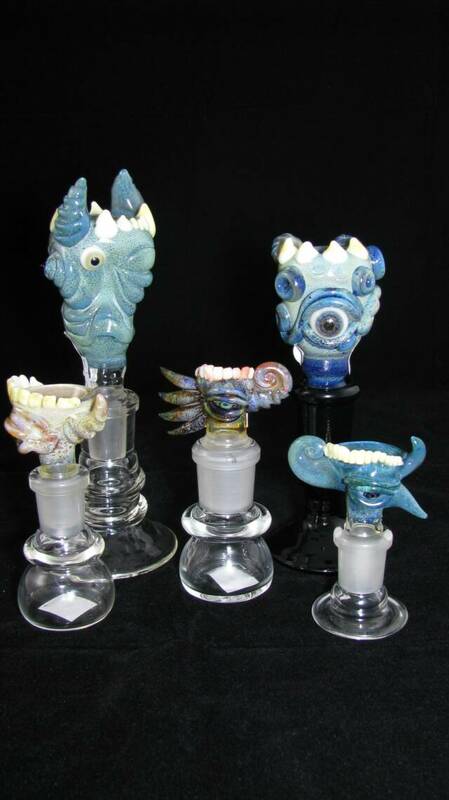 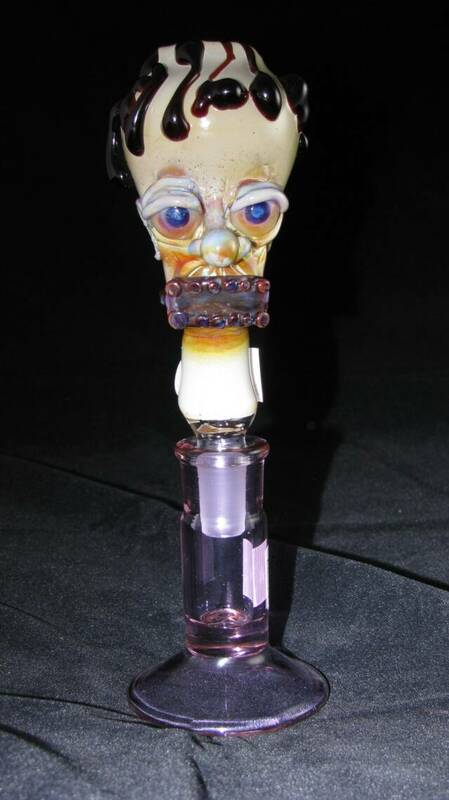 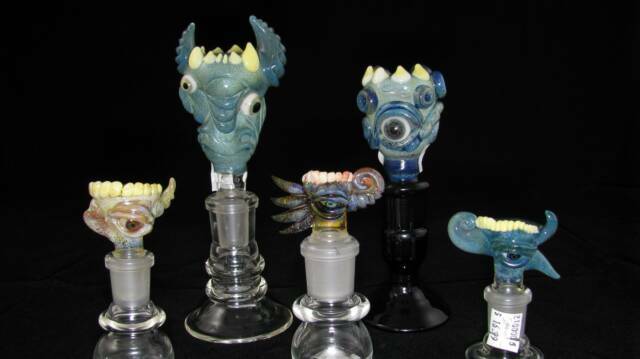 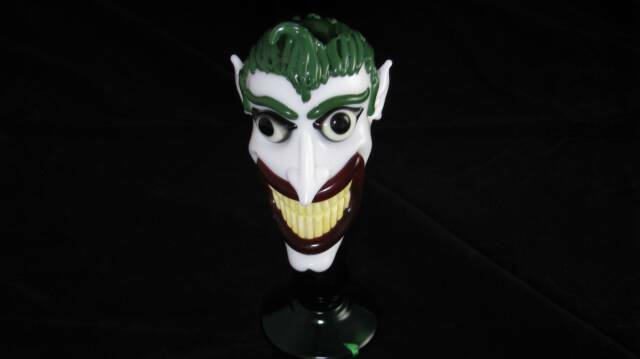 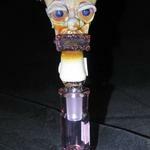 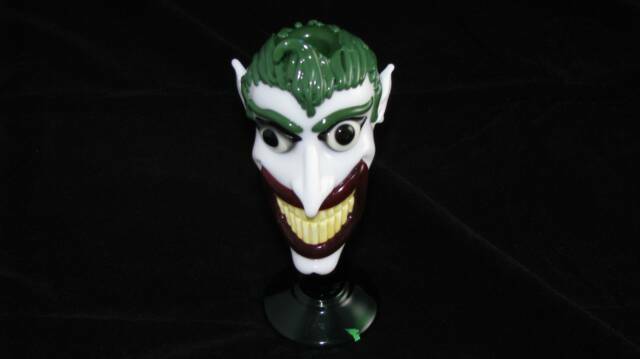 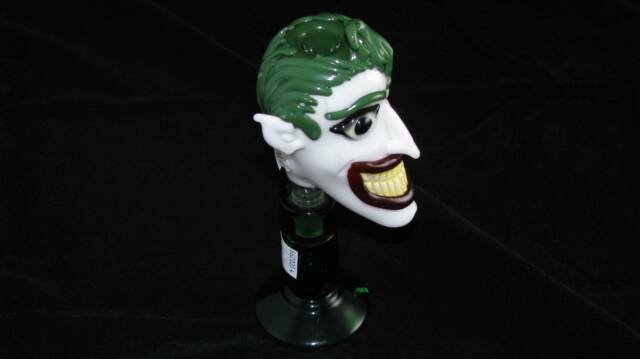 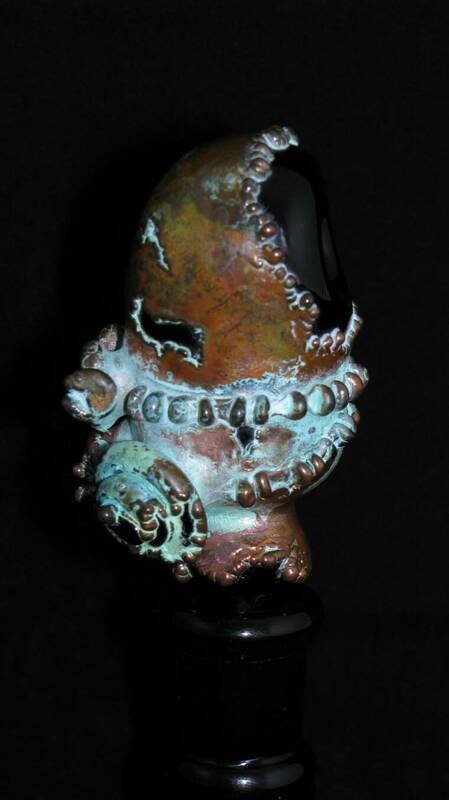 Puff n Stuff Smoke Shop has Bowls and or Slides from artists and glass companies such as Dale Sommers, Zach P., Snic, Boxfan, Midas, Salt, Toro, HiSi, MGW, Fat Head, J Pilsman, illadelph, Ben Wilson, BP Glassworks, Voorhees, ADS, ROOR, and many more.